Campus officials watch for man who wipes lice off with paper towels in bathroom stalls. 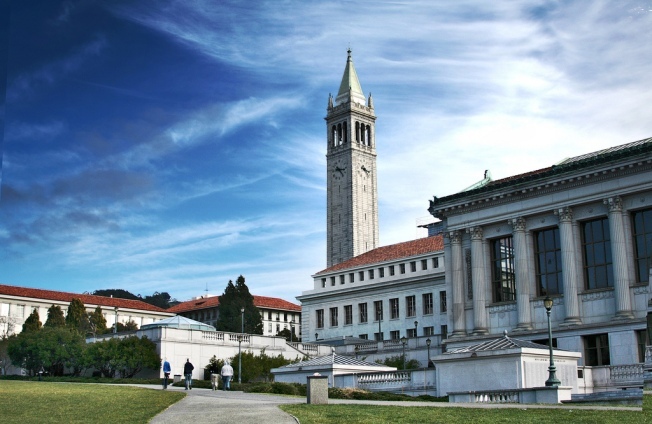 UC Berkeley officials have banned an individual for a year from using campus libraries for wiping body lice off in public restrooms and leaving them in the trash. The man was repeatedly seen entering restroom stalls with paper towels and a trash bin, and leaving the used paper towels and lice in the garbage, according to an email sent to employees of the Recreational Sports Facility and obtained by the Daily Cal. The email describes a pattern: "First, he will collect a hand full of paper towels and a trash bin. After taking both items into a restroom stall he will wipe off countless body lice; depositing the towels and live insects in the bin." The email also said after the individual “deposited” body lice in the stalls, he would sit in a lounge area and for hours. The man was banned from the library for a year on February 8, said library director Elizabeth Dupuis. University spokeswoman Janet Gilmore said she couldn't provide details on the incidents, but confirmed that the University Library issued a one year ban to an individual for violations of the Library Code of Conduct. Gilmore said that the university takes complaints about unsafe or unhealthy environments seriously and strives to address them. UC Berkeley Real Estate Division spokeswoman Christine Shaff said there were only two incidents. Custodial staff responded by taking out the trash. Pest management crews took care of any lingering lice with rubbing alcohol, Shaff said. They are trained to use pesticides only when needed, and determined that alcohol would do the trick. "The ick factor is high here, but at the end of the day it's kind of sad," that this person is suffering from body lice, she said.